You will never look at scissors the same way. What was the first movie you ever saw? Mine was The Adventures of Prince Achmed. I was five. It was with my Grandnana. 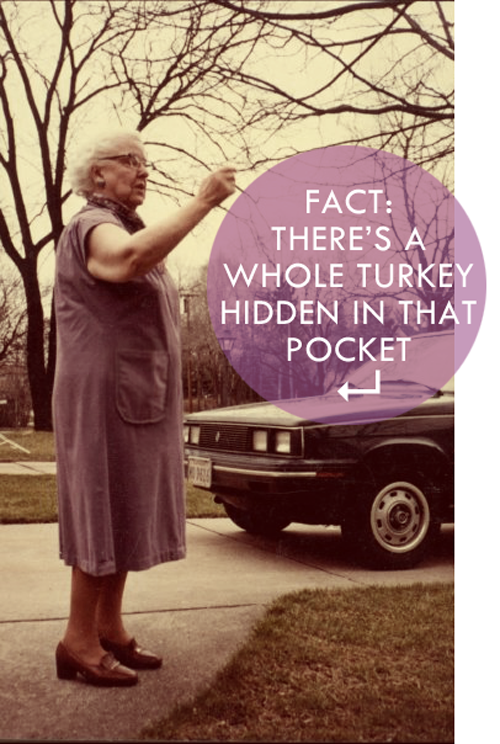 She wore her deep-pocket purple house coat to smuggle in two wax paper parcels of coffee cake, three pixie sticks, and a brown paper bag filled with gold fish crackers. She let me order an orange soda from the counter and drink it with a spoon. The whole thing. It was magical. The specialness of the occasion was two-fold, because, not only was it my first movie, it was her first movie too. She had seen the original Prince Achmed as a teenager when it was released in the late 1920s, and that day, when the local theater showed it as a Saturday matinee, she used me as an excuse to see it again for the first time in more than fifty years. I know she pretended it was for my benefit, but if you ask me, she would have been just as happy to go by herself. Double the coffee cake for Grandnana. I am glad Prince Achmed was my first movie and not some Mickey Mouse crap (no offense, Mouskateers). A movie theater is a transformative environment for anyone, children in particular, and for kids like me, who were/are especially fixated on visual stimulation, a movie like Prince Achmed was/is a mind blowing experience. Prince Achmed is the oldest surviving animated feature film. 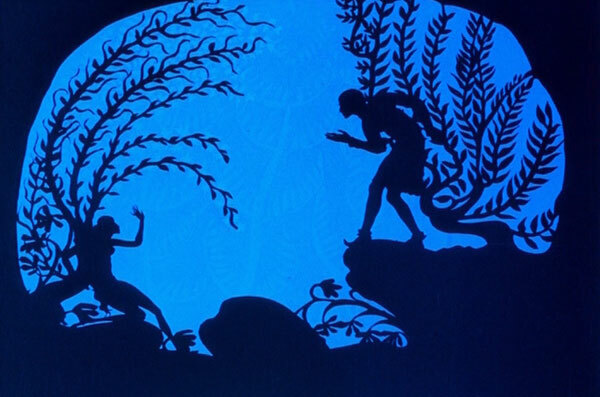 It was created by Lotte Reiniger, who is arguably credited as the world’s first female motion picture maker. Most of her work was created using little more than paper, scissors and a simple camera on a multi-plane rig (Walt Disney later borrowed the idea to much success). She had an astonishing skill when it came to cutting – holding the scissors still in her right hand, and manipulating the paper with her left. Exercise: Try cutting out the shape of a house or an animal while holding the scissors still (spoiler alert: it’s Effing Impossible). Because her technique was so simple, she was able to take her work on the road for most of the 1930’s, making a slew of short films while bouncing around Europe and staying in places as long as the travel visas allowed, avoiding her native Germany and the Nazi party. Film was a new medium back then, and animated features were unheard of. I suspect making a living at an art form like this must have been precarious for Lotte. It makes me that much more appreciative of her efforts. Click here for a fifteen minute documentary where you can seeing Lotte in action. Alone, the seriousness of the narrator’s voice makes it worth a looksee. Do they still make movies like this? Man, I hope so. Harry Potter fans will recognize the liberal inspiration on loan from Lotte in The Tale of Three Brothers, from Harry Potter and the Deathly Hallows. My other favorite paper artist, Michael Ocelot, made Les Trois Inventeurs, a short film made entirely from paper doilies. You need to see it. I warn you, there are no subtitles and it’s sad. Not like Old Yeller sad; French sad. Heartbreakingly beautiful. Thank you for sharing a lovely episode from your childhood. I love the coffee cake and crackers stashed in your grandmother’s pocket. And thank you for the education. I was unaware that such a medium as silhouette animation existed. It makes me wonder if Lotte Reiniger might have been an influence on the paper artists Allen and Patty Eckman who were featured a couple of years ago in the Daily Mail. This is the link if anyone would like to check out their work. Incredible! Thank you so much for sharing this post & the films. You are informational as well as inspirational. A big thank you for new cool stuff to investigate. That was so beautiful. I love silhouette animation & am glad to learn more about it. I think Prince Ahmed has taken the place of the Harry Potter as my fave in that style. My children always laughed at me when I cut things out because the scissors never moved but the paper flew all over the place. lol Is it too late at age 57 to start a new career? It occurs to me that end of the Lemony Snicket movie, a few years back, had images such as these in the ending credits. Hmmmmm. Off to scope things out.